On a spring day in 2011 I met my father in a parking lot of Starbucks before heading to work. I was dropping off something, and looking forward to the free Starbucks guaranteed to a law student by a parental visit. My outfit, in no particular order, was a vintage (old) navy pinstripe suit, with a small hole in the back, an un-ironed brown multi-striped shirt (my last clean shirt), a dark green tie, and a pair of brown suede wing-tip shoes. I had forgotten a belt that day. My father, referred to ironically by his friends as “Compassionate Bob” took one look at me and said in his gruff voice: “You look terrible.” He was right, and I knew it. Though this was not the first (or last) time my father would deride my appearance, for whatever reason that day, it struck a chord. I went through a psychic change about the way I dress, which lead me down the sartorial path I stand on today. Fathers and sons. Go figure. I realized, a young man of slightly above average intelligence, average(ish) physique, below average height, and average looks, should take each and every advantage available. Whether at work or in life, my idea was always that “substance over form” would win out. But you would be amazed how far form can get you. And how much people notice and treat you differently in the right form. Suddenly, I began to care how I looked. That was the simple part. Shined shoes, a pressed shirt and suit. Eventually, it morphed and shifted into something more than that. I began to express myself through my dress. It was an extension and embodiment of my personality. Eventually, I came to possess what is commonly known as style. 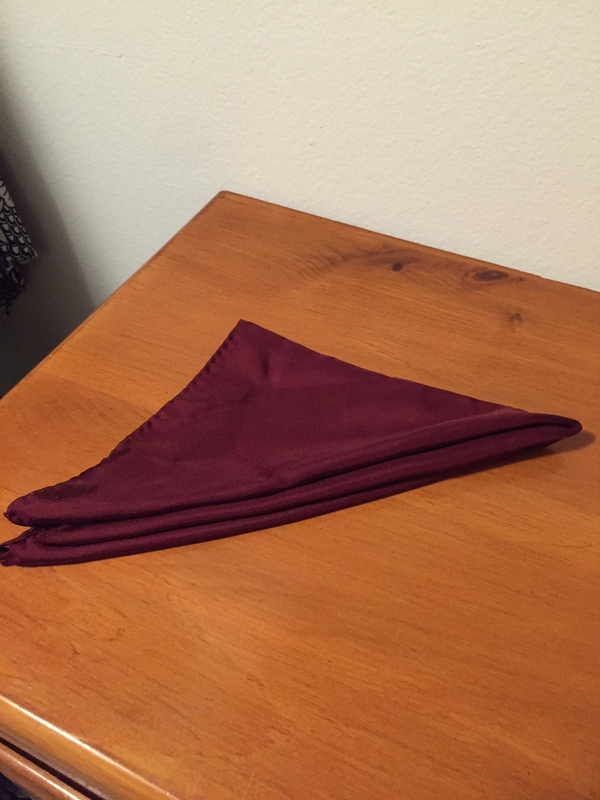 One of the first things I did was to invest in several pocket squares. It started with one or two, but at the time- in 2011- it was a rarity to see a man with a pocket square in his suit. They were hard to come by. Now they seem to have reclaimed a place of prominence and are far more common just a few years later. But their purpose remains the same. The pocket square is a simple, elegant way for a man to proclaim: “I care.” It is the single easiest thing that a man can do to make a statement that he took more than 30 seconds to plan his outfit in the morning. And trust me, people notice. Any man who is looking to up his suit game, and allow for a little extra expression, should consider investing in pocket squares. So, I’m going to start this blog the same way I began my journey into men’s style. With pocket squares. Thirty Days, Thirty Folds. 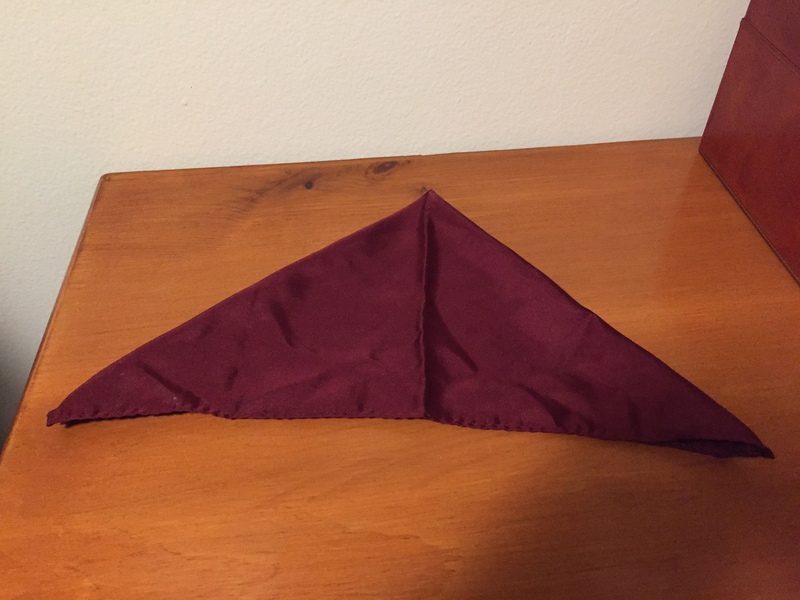 The first fold, which I will call the three peaks fold, is also one of the first that I learned. 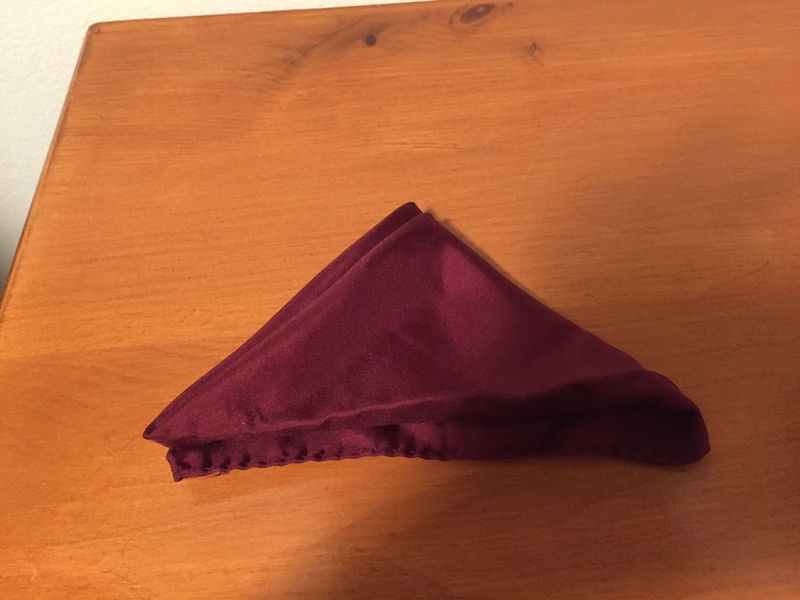 There are a number of different iterations and ways to get “three peaks” or points on a pocket square. This is just one of them. This is a formal, serious fold, suitable for important meetings, or formal events. It can have a tendency to need a little fluffing throughout the day, but I prefer the peaks in this fold to a standard three point fold. 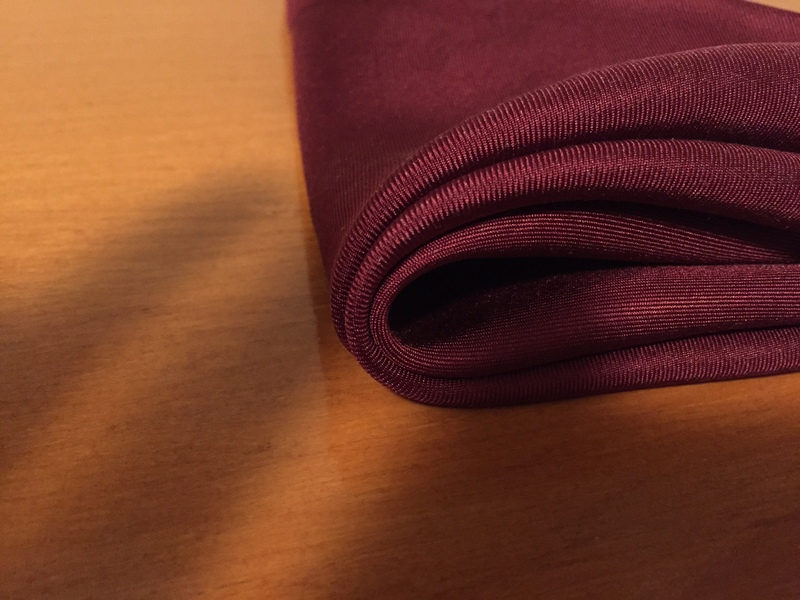 This fold also requires a larger pocket square, and I would recommend silk, or a very broken in cotton for the material. 1. 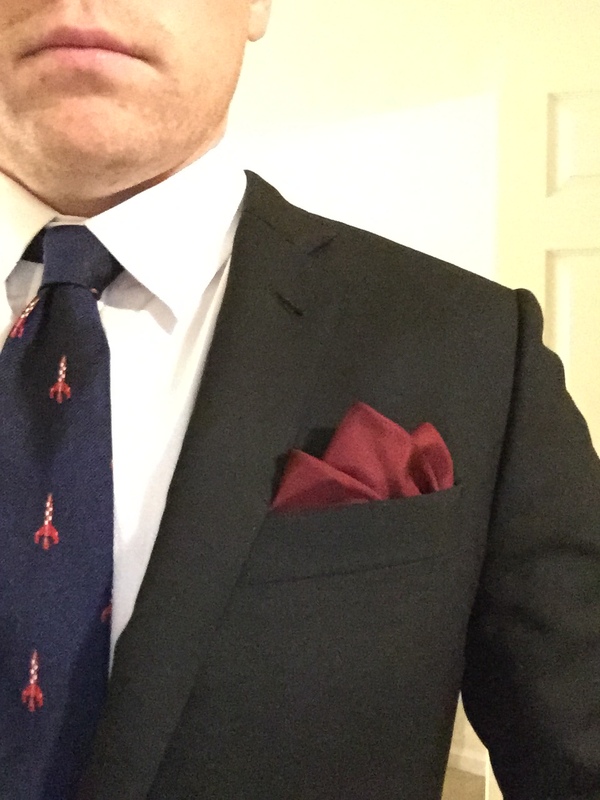 Start with a large pocket square. 2. Fold it diagonally in half. 3. Fold it diagonally in half again. 5. And one more time diagonally in half. 6. See those three folds below? Those three folds of fabric will be pulled and plucked to make your peaks. 7. 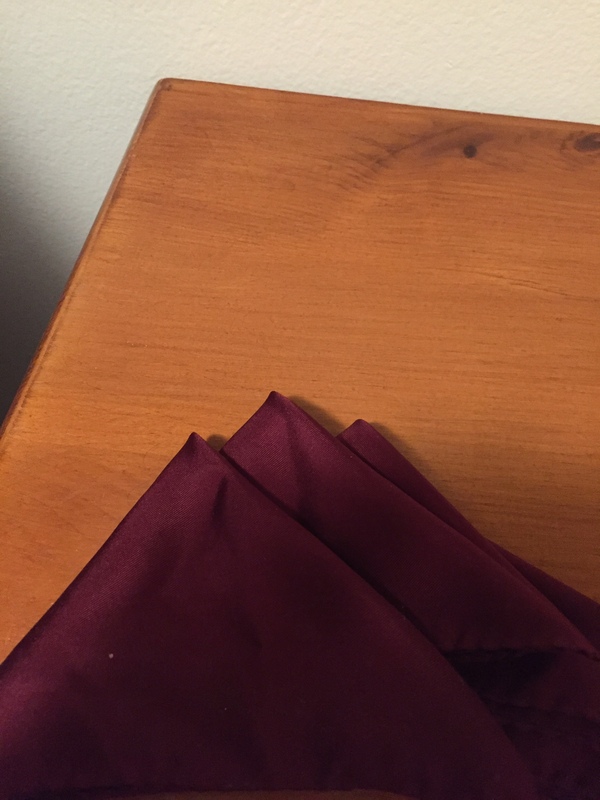 Pull apart the three folds of fabric from one another, making three separate and distinct peaks. Pull “up” the middle fold to make this the more prominent peak. If you want to make it crisp, now is the time to get out the iron. 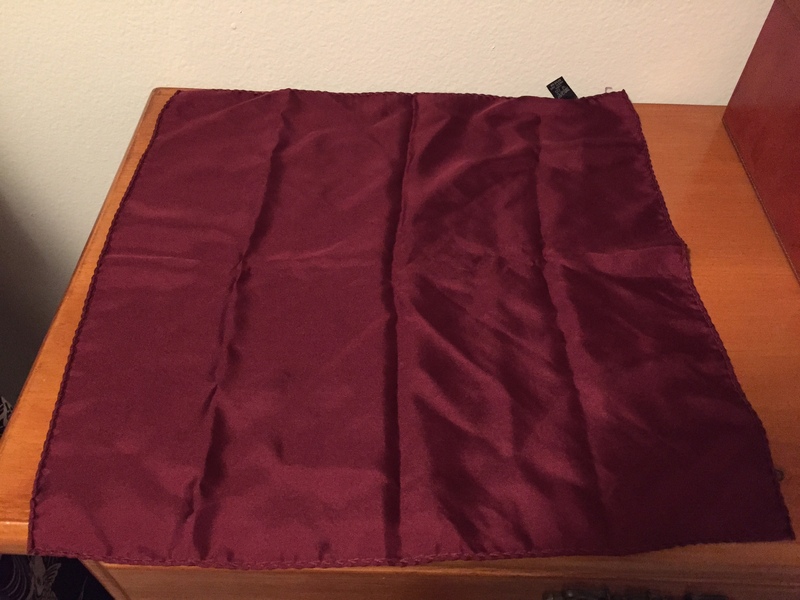 Keep the iron temp low if you’re using a silk pocket square. 8. 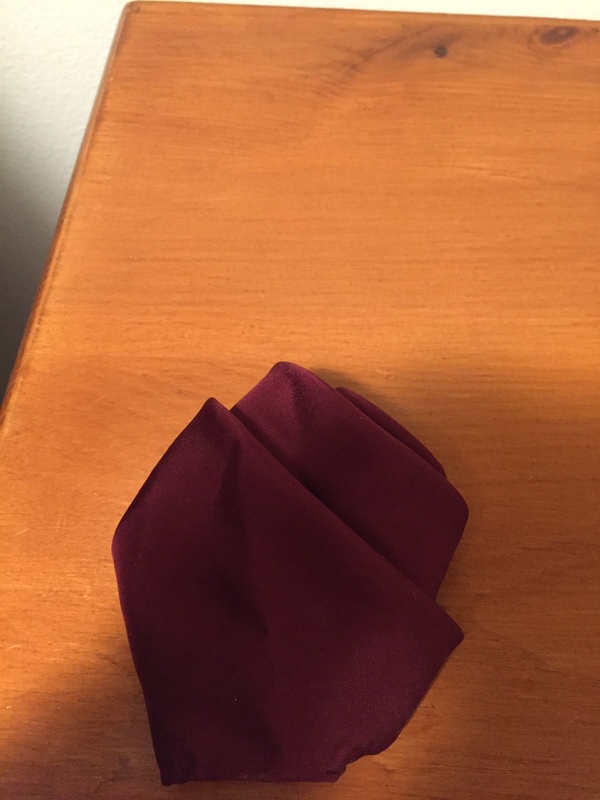 Fold the corners of the pocket square back behind the peaks to lock in the fold. 9. Insert into suit, fluff a little with the peaks to arrange how you want. You my friend have just instantly classed up your suit game. There you have it. 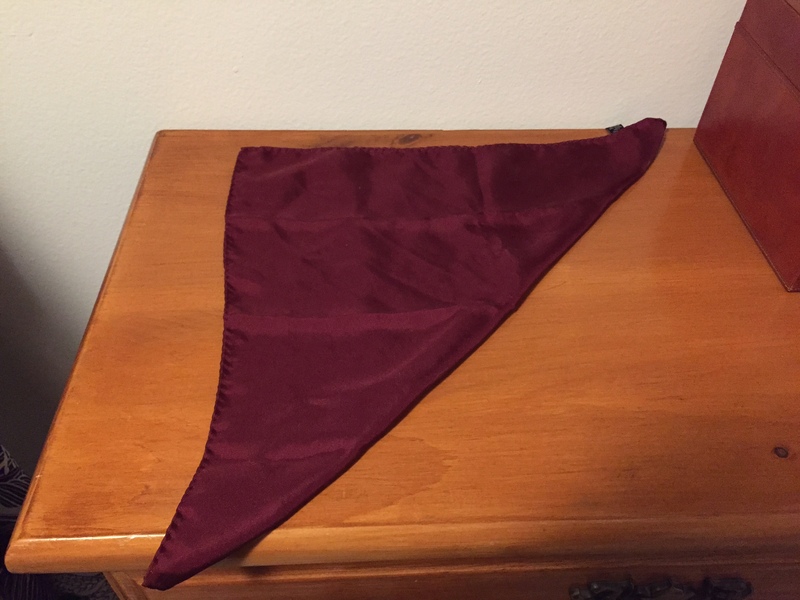 Day one of Pocket Squares, and the Three Peaks Fold. If you have any questions, please feel free to send me an email at seamus@smkstyle.com.